1. 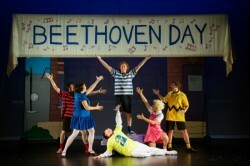 You’re A Good Man, Charlie Brown at Reston Community Players. “Overall, the Reston Community Player’s managed to take Charlie Brown and make it their own while still reflecting the beloved characteristics of the original.” – Jennifer Minich. 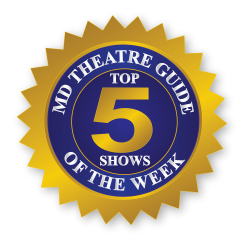 Synopsis: Winner of two Tony awards- featured actress (Kristin Chenoweth) and featured actor (Roger Bart),the musical showcases all of your favorite Charles Schultz characters including, Linus, Lucy, Sally, Schroeder, and your favorite pooch, Snoopy. Let RCP bring back your childhood memories of the “Peanuts” gang and help you share them with a younger generation as you experience an average day in the life of Charlie Brown. 2. 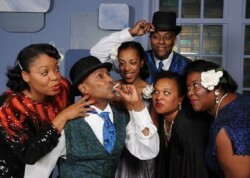 Ain’t Misbehavin’ at The Vagabond Players. “I can’t think of a better place to go for an up close and personal trip back to the Harlem Renaissance of the 1930s, where the music is cool and this cast is sizzling.” – April Forrer. Synopsis: The joint will be jumpin’ as the 30’s come alive in this rollicking, swinging, finger-snapping revue! Brenda D. Parker, Timoth David Copney, Amber Hooper, Kevin Sockwell, Michelle Bruno, Melissa Broy Fortson. Photo by Tom Lauer. 3. Fetch Clay, Make Man at Round House Theatre. “There aren’t many shows around that address so many still timely issues of race and role models, featuring casts this tight.” – Roger Catlin. Synopsis: In the days before one of the most anticipated fights in boxing history, heavyweight champ Muhammad Ali forms an unlikely friendship with controversial Hollywood star Stepin Fetchit. This true story explores the improbable bond that forms between these drastically different, influential cultural icons – one a vibrant and audacious youth, the other a resentful, almost forgotten relic – as they fight to shape their legacies amidst the Civil Rights Movement of the 1960s. 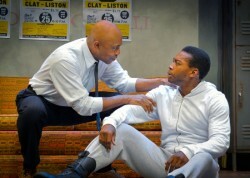 Roscoe Orman and Eddie Ray Jackson in ‘Fetch Clay, Make Man’ at Round House. 4. Big River at Silhouette Stages. “With Roger Miller’s terrific songs, a spirited cast and can’t-miss source material, Big River is well worth checking out.” – Kevin Smith. Synopsis: Based on Mark Twain’s classic 1884 novel, Adventures of Huckleberry Finn, it features music in the bluegrass and country styles in keeping with the setting of the novel. 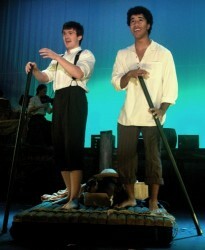 Huckleberry Finn (Brian Nabors) and Jim (Alex Peças) pole their raft down the Mississippi River while singing about the “Muddy Water.” Photo provided by Silhouette Stages. 5. The Wolfe Twins at Studio Theatre. 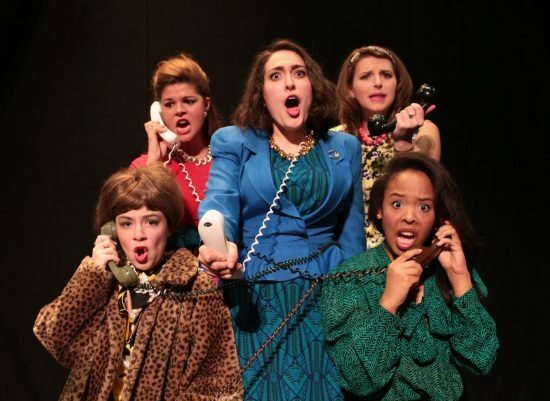 “…a disarming, svelte production.” – Jennifer Minich. Synopsis: Lewis invites his estranged sister Dana on a trip to Rome to reconnect. But when he befriends a beautiful stranger, old wounds fester and intimate secrets are revealed. A dark, contemplative world premiere from the Studio Theatre commissioned playwright Rachel Bonds.